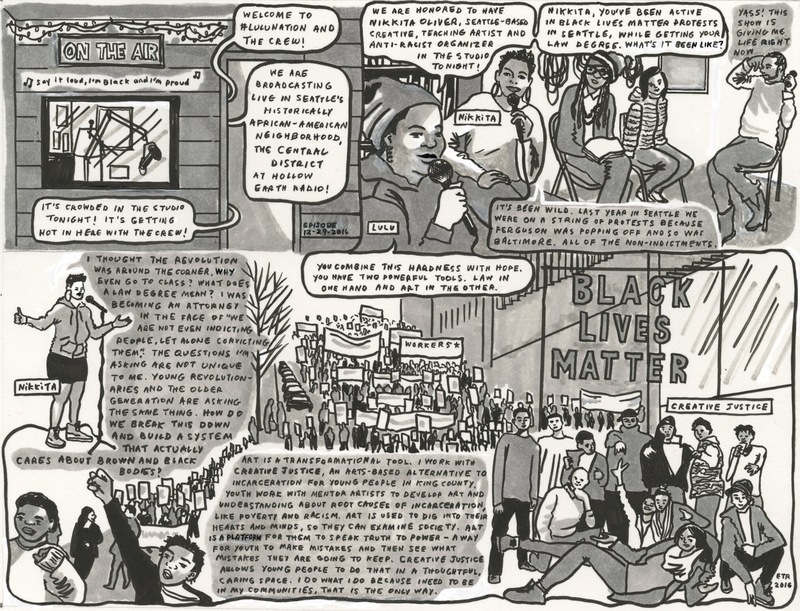 This comic was published in the March 30, 2016 issue of Seattle Weekly. It is a rendering of #LuluNation and The Crew’s radio interview with Seattle artist, activist and lawyer Nikkita Oliver about Black lives, hope and mentoring young artists as an alternative to incarceration. Inset of “Unstoppable” by E.T. Russian and DJ Lulu Nation aka Luzviminda Uzuri Carpenter. This image depicts a comic in black and grey tones, of DJ Lulu Nation interviewing Dr. Micha Cárdenas about her design process creating affordable bullet-proof fashions for transgender women of color. This comic was published March 2, 2016 in the Seattle Weekly. Still image from “Secret Gem of the City” comic by E.T. Russian. 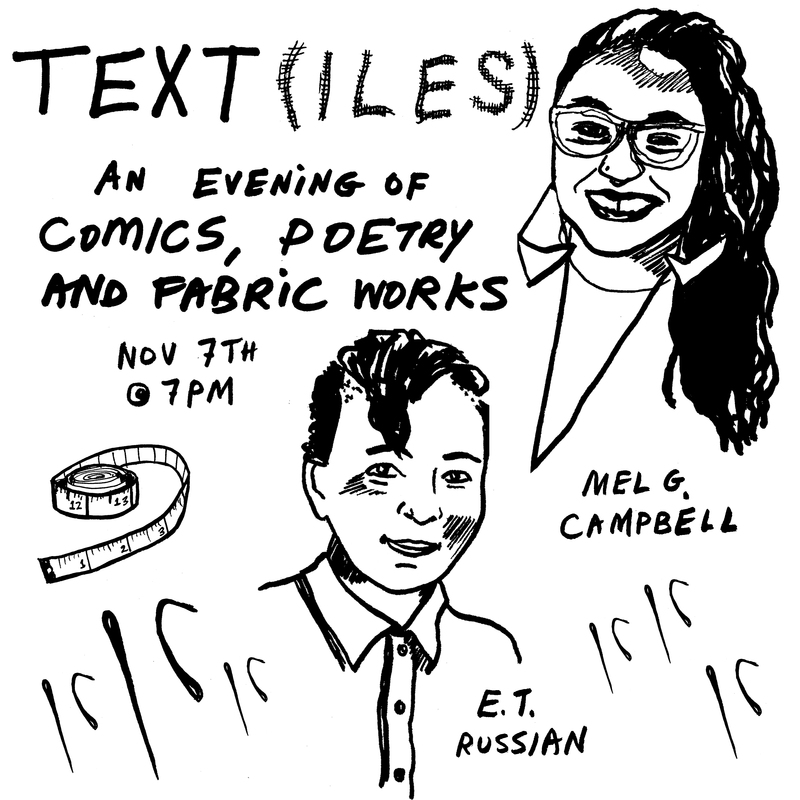 TEXT(ILES), an evening of comics, poetry, and conversation by and with mel g campbell and E.T. Russian.